Nike has unveiled the latest Nike Metcon cross training shoe. 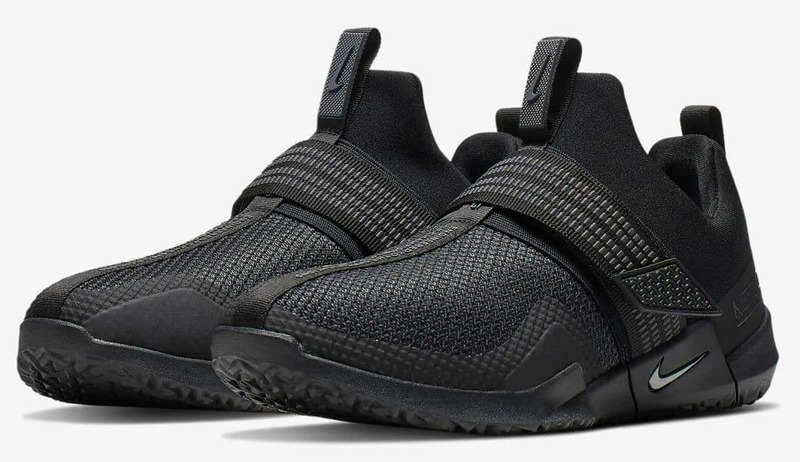 New for 2019, the Nike Metcon Sport takes the Metcon shoe line in a radical new direction. The Nike Metcon Sport gives you the stability to lift heavy weights but offers more agility than any previous Nike shoe. 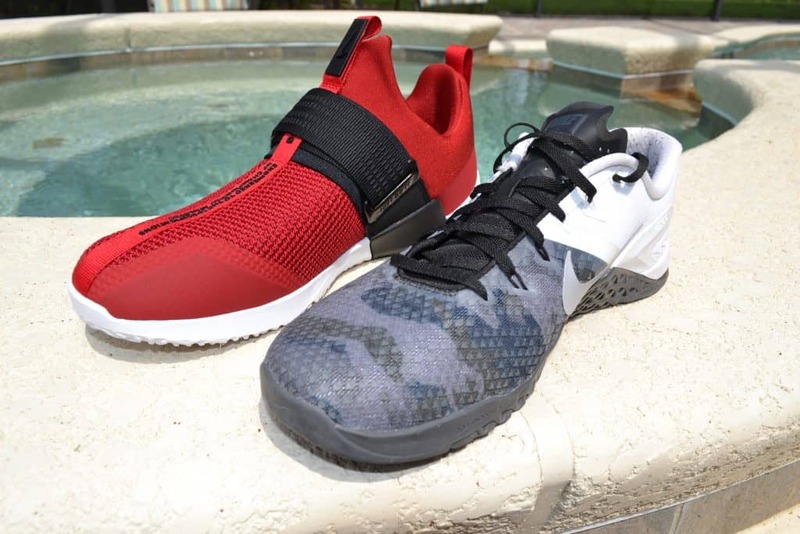 Read on to find out more about this exciting new CrossFit training shoe from Nike. The Nike Metcon Sport represents the biggest design shake-up since the Nike Metcon shoe line first debuted. 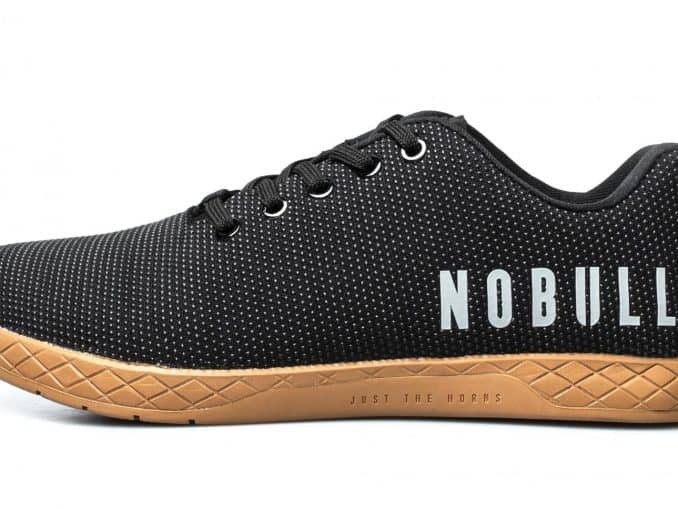 Let’s take a look at what is new and improved in this shoe. Let’s start with the obvious – there are no laces. The new Nike Metcon Sport instead relies on a stretchy sleeve that lets you slip the shoe on and off easily. 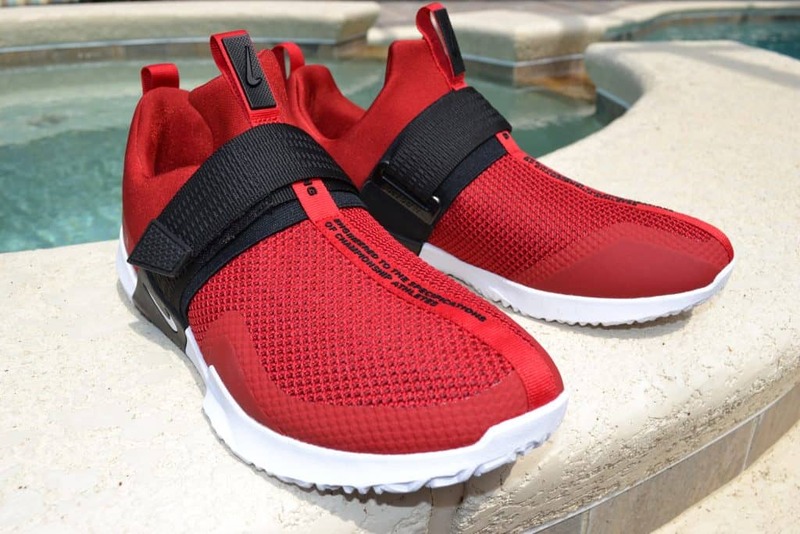 But, this shoe can be used for weightlifting – so there is a midfoot strap to give a locked in fit and feel. You can also see that the “vamp” (the front and center part of the shoe’s upper that covers the top of the foot) is made of a breathable mesh. 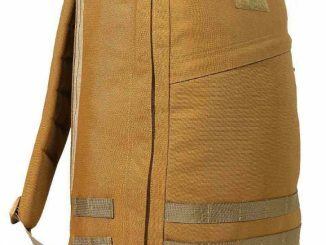 Nike likes to say it has a textured look and feel, too. From the side profile, you can see a few more important features. 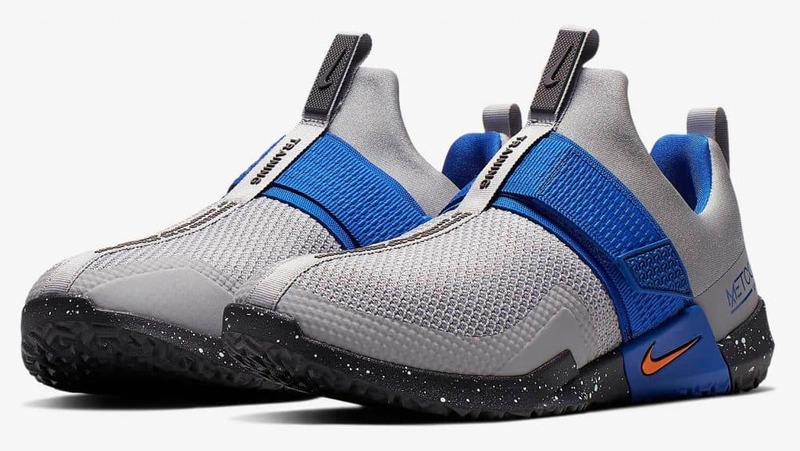 You can clearly see the pull tabs on the front and heel – which helps with slipping this shoe on and off easily. 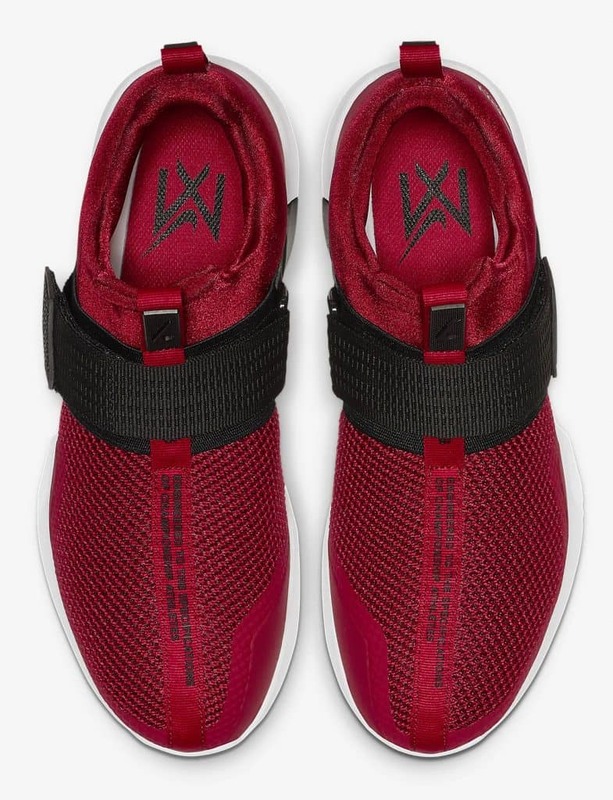 You can also see closely that midfoot strap – the secret to the locked in fit and feel. You can also see that this shoe has synthetic skins around the toe and the heel for extra durability. 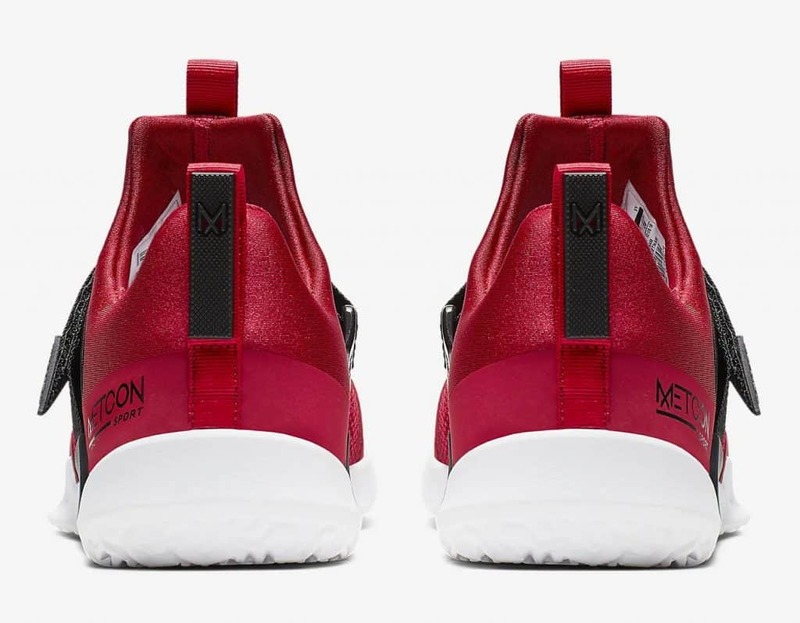 You can see those skins along the bottom of the front of the shoe, and on the heel where it says “Metcon Sport”. 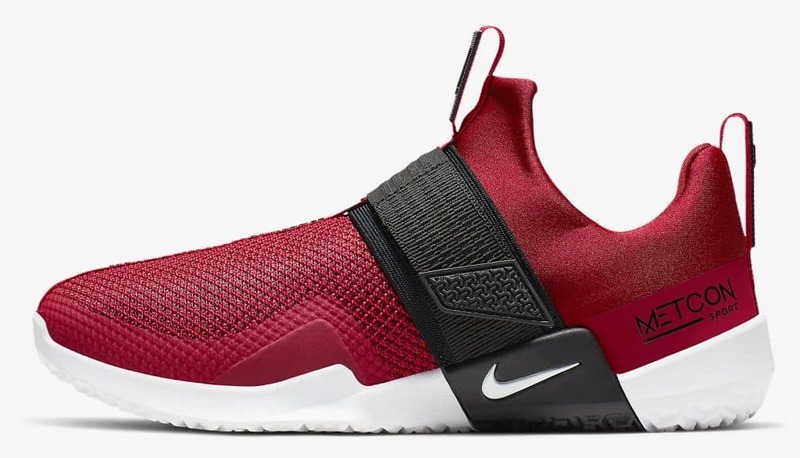 What you can’t see here is the midsole (it’s inside the shoe). 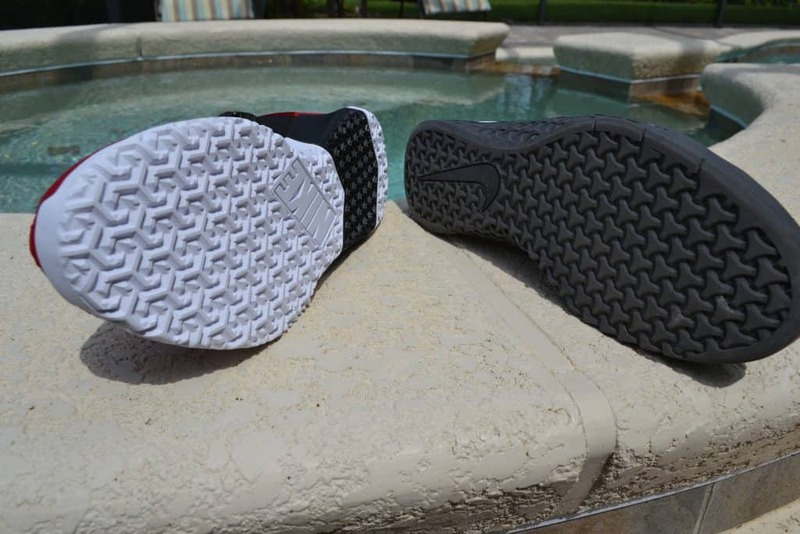 It is a drop-in midsole and it features raised sides to enhance lateral stability. 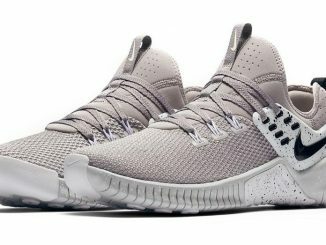 You’ll see that the outsole is flat for stability during heavy weightlifting. But, it also has an aggressive traction pattern enhances grip for speed and agility moves. Here’s the heel, and you can see the heel pull tab. That’s a good look around. Let’s look at some other colors and styles available. Here’s another reason people think Nike shoes are the best. They function well – and they look good too. Nike is offering several colorways (color combinations) for the debut of the Nike Metcon Sport. 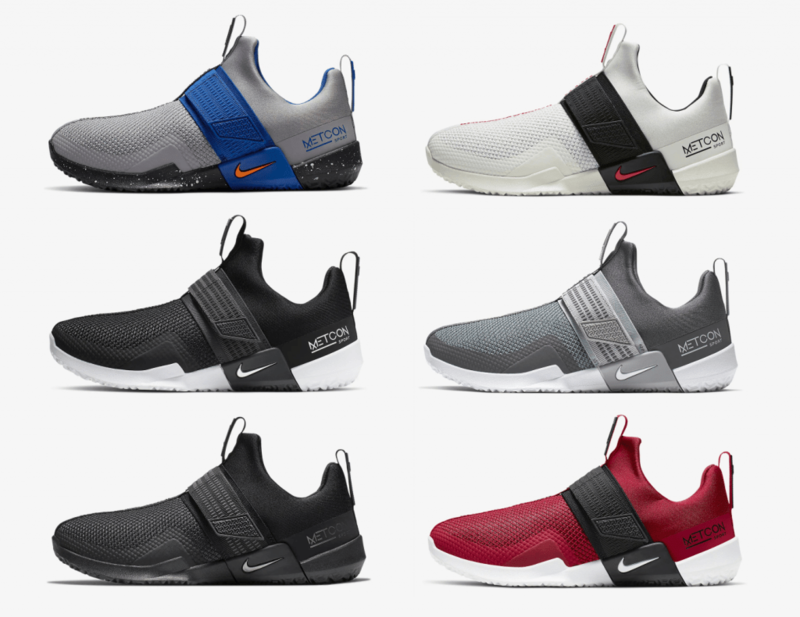 As with most Nike shoe offerings, look for more combinations to be released over time. But, if you see a pair you like – grab them while you can. They rarely bring back a color combo after the initial manufacturing run. Black/Anthracite/White is a subdued, but cool style. 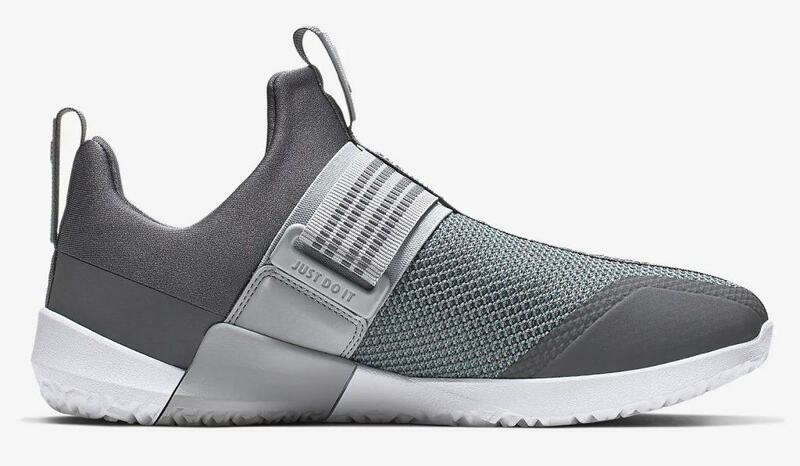 Shoes that are predominantly grey match nearly any workout outfit nicely – it’s a very flexible color combination. 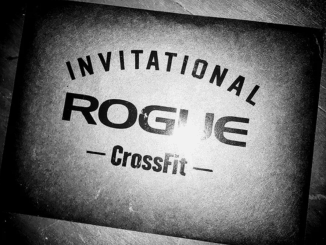 Here’s the Dark Grey/Cool Grey/Wolf Grey/White color combo. Here’s another style , mostly grey, but also blue. 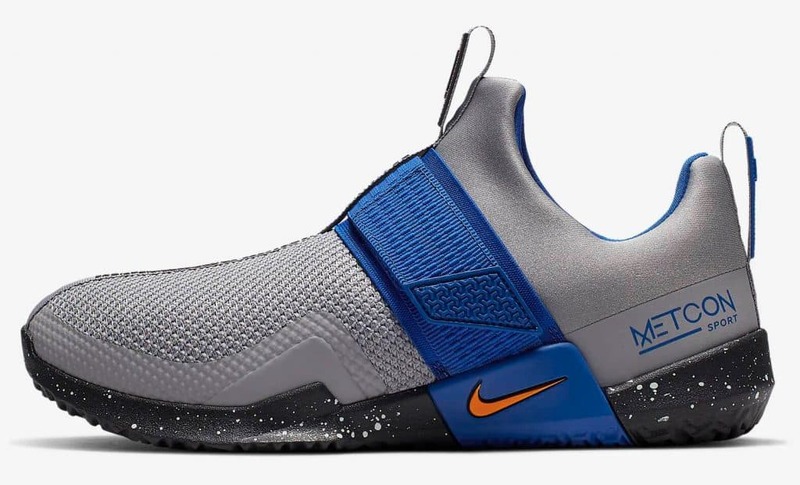 This is Atmosphere Grey/Game Royal/Thunder Grey/Orange Peel. And lastly, for the ultimate in covert style, here’s all black. As we mentioned, most of these color combos are a limited time manufacturing run. And that means once your size is gone, you are out of luck. 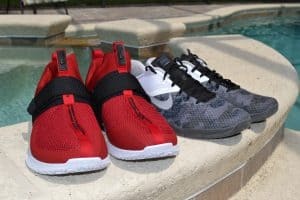 Ok, how does the Nike Metcon Sport stack up against the other new metcon shoe (the Nike Metcon 4 XD)? 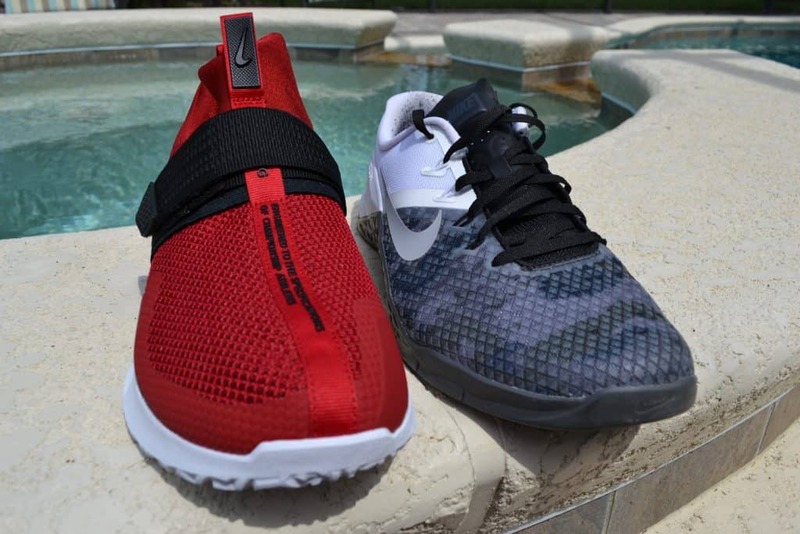 Well, first off – the Nike Metcon Sport is cheaper. Why? We can’t be sure – but there is less to it. 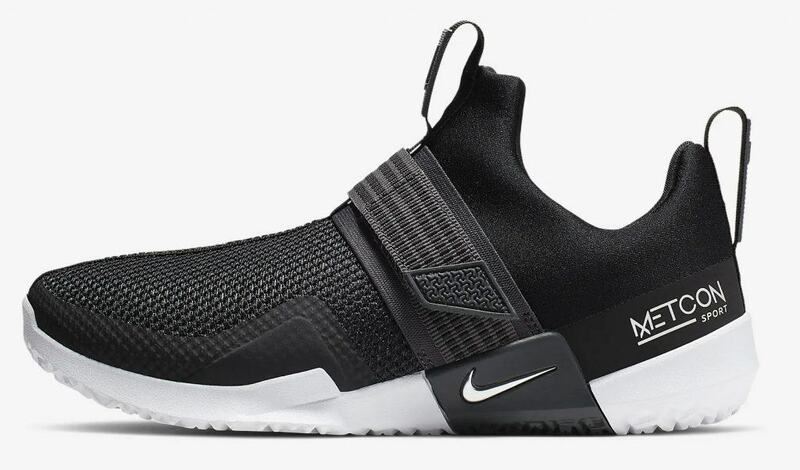 No laces, no flywire – just the midfoot hook and loop (velcro strap). The midsole in the Nike Metcon Sport secures your foot better. You can see in this photo the white part is the midsole supporting your foot from the side. 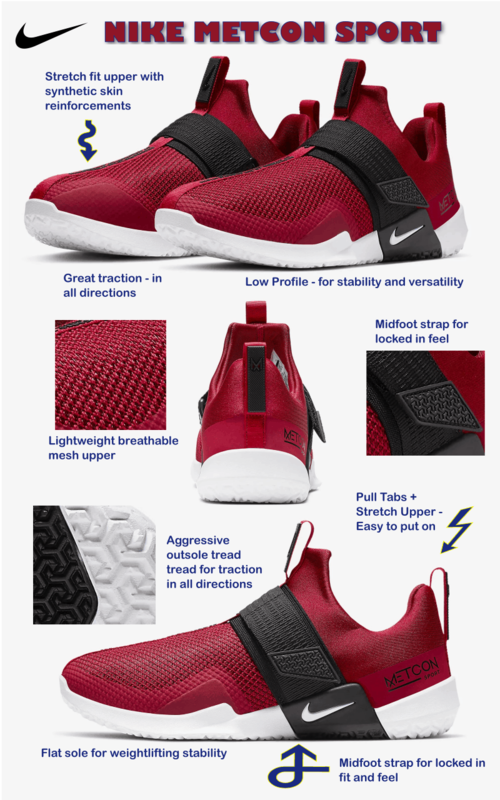 The outsole tread pattern is significantly more aggressive on the Nike Metcon Sport – remember these shoes focus on agility. It’s hard to see here – but it is a difference you can feel for sure. The Nike Metcon Sport is going to have way more bite on turf, grass, etc. The Nike Metcon Sport won’t be as good as a rope climbing shoe. 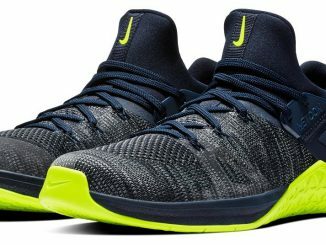 It doesn’t have the wrap around outsole at the midfoot like the Nike Metcon 4 XD does. But, that’s OK. Rope climbing is quite rare. The mesh upper on both shoes feels similar in weight – both should breathe well. 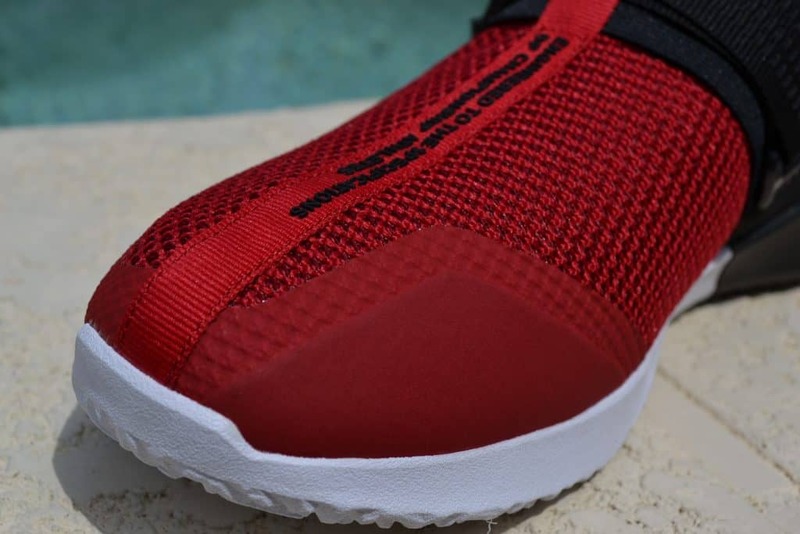 Here’s a close up of the toe box on the Nike Metcon Sport, so you can see the mesh. Lastly, the Nike Metcon Sport is a taller shoe, and will be higher up your ankle. So, that’s what makes the Nike Metcon Sport the biggest overhaul to the Nike Metcon shoe since the beginning. 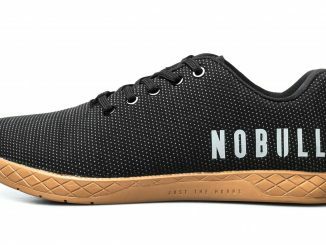 This is a versatile cross training shoe – great for CrossFit and similar functional training. 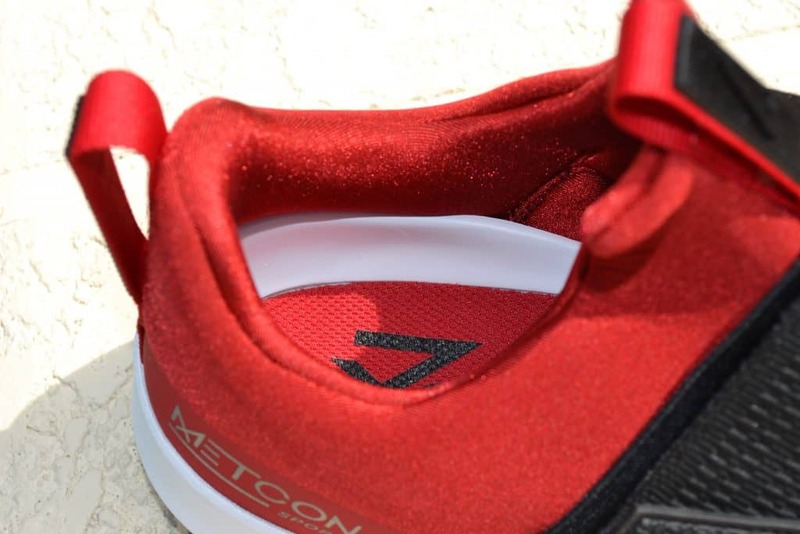 Lifting weights, sprinting, jumping, and more – the metcon shoes will do it all. Here’s a nice pictorial overview of this great new shoe. 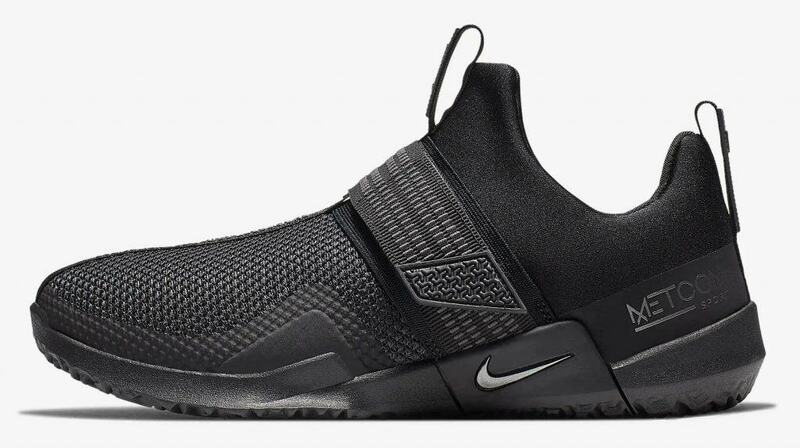 With the release of the Nike Metcon Sport, Nike has given us the freshest new re-design of the shoe ever. The Nike Metcon Sport stays true to it’s Metcon roots – it is a versatile shoe meant for heavy weightlifting and more. At the same time, it looks great too – and is easy to slip on and off. You may also want to check out our review of the Nike Metcon Flyknit 3 and the Nike Metcon 4 XD. Nike Metcon Sport product photos are courtesy of Nike. Some product imagery on this page is property of Road Runner Sports.